Introduction to Whole Genome Sequencing and Analysis for Microbial Diagnostics. For a limited number of participants, we offer an additional 4th day. During this day, we will be analysing the participants' own data using the tools taught during the first 3 days. People who have previously participated in the workshop or who already have a good understanding of WGS and analysis methods are welcome to join only for the 4th day. The only prerequisite is that they bring their own WGS data to work on. Price: Fee for participating in the workshop day 1-3 is 915 EUR + VAT. Early birds get a 100 EUR discount. Fee for participating during the 4th day is 575 EUR + VAT. Early birds get a 100 EUR discount. The fee covers the workshop, breakfast, lunch, coffee, and afternoon snacks all workshop days, and dinner one evening. It does not include travel or accommodation. Audience: Microbiologists and medical doctors with no or limited experience with WGS data, who want to learn how to extract relevant information from it. Only basic computer skills are needed (e.g., text editing, using the Internet). For full learning outcome participants are required to bring their own laptop. Number of participants: Max 24 participants for workshop day 1-3. Max 8 participants for day 4. 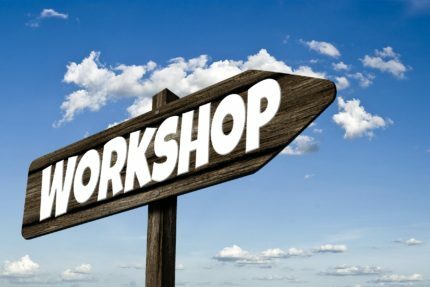 Next workshop: There are no planned workshops at this point.